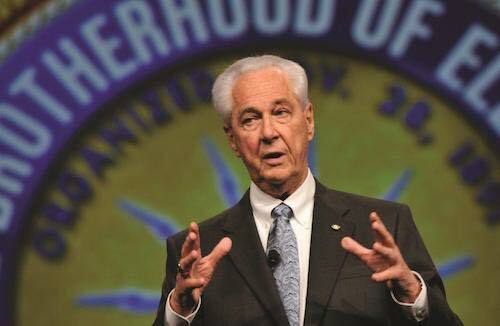 With sadness we share that IBEW International President Emeritus Ed Hill has passed away. He was a Journeyman Electrician, a labor leader, and President of the International Brotherhood of Electrical Workers (IBEW), AFL-CIO from 2001 until his retirement in 2015. May he Rest In Peace and in Power. The IBEW family mourns the loss of Brother Hill and our thoughts are with his family.